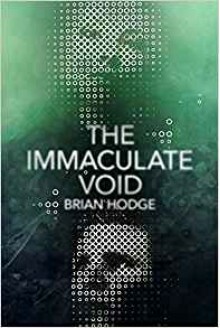 THE IMMACULATE VOID is a stellar entry in the fields of cosmic horror and dark fiction! Brian Hodge has long been a favorite author of mine and this novel only justifies his position on my favorite authors list. I'm finding that I don't have adequate words to properly review this book. (Which is the same way I felt about John Langan's THE FISHERMAN.) I was lucky enough to read both of these novels in 2019 and I'm just worried that nothing else I read this year will be as good as these two books.